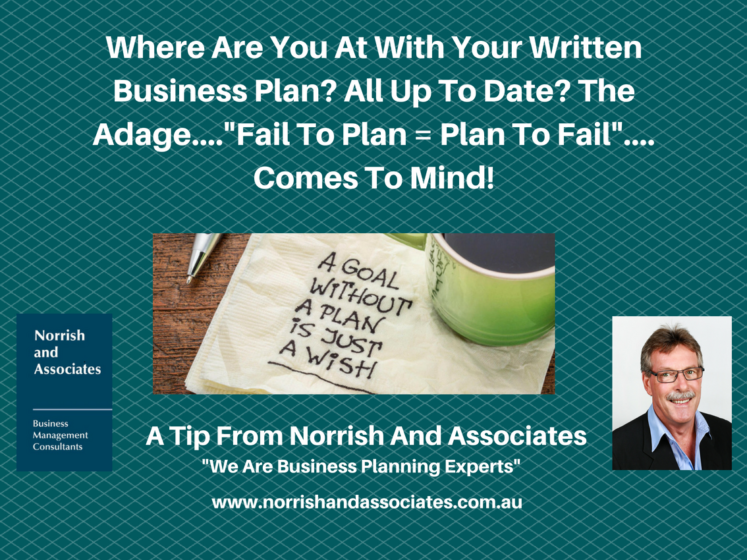 What Is The Status Of Your Written Business Plan? Home / Business Development / What Is The Status Of Your Written Business Plan? Anyone either in business or contemplating going into business needs a comprehensive written business plan. If you don’t have one you may be heading for limited success. Put yourself in a far better position and address all the issues now and implement a solid plan. Call me for an obligation free chat (0408 914 051) about how I can help you plan for business success. Also, please check out the Articles page on my website: – www.norrishandassociates.com.au as there are a number of items there that may be of interest.